Would you like to go on a vacation with a large group of people, a family reunion or host a a conference in Zeeland? If so, a group accommodation at the seaside is definitely an ideal and highly inspirational place. 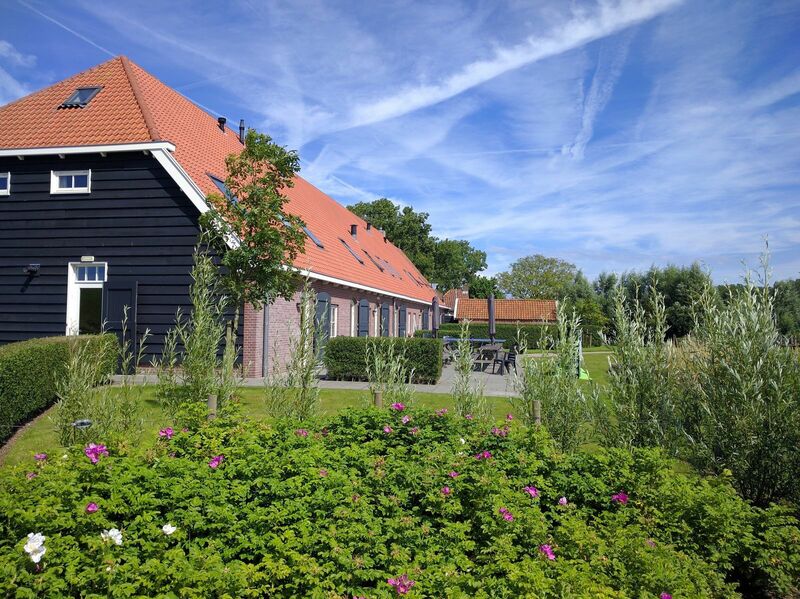 Holiday park De Stelhoeve, located on the edge of the village of Wemeldinge and near Goes, offers a group accommodation for 45 persons surrounded by nature and at less than 50 meters from the Oosterschelde. Group accommodation Oosterschelde is a new and luxurious five-star accommodation for groups. 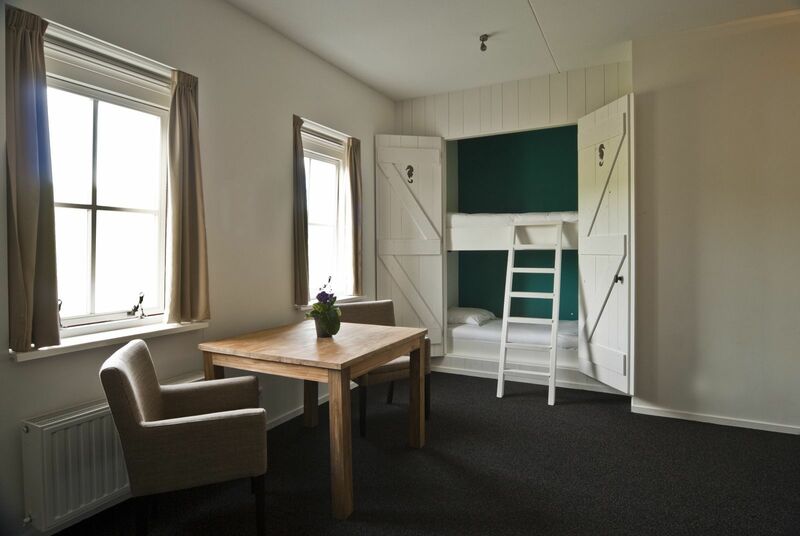 The farm has been constructed in Zeeland style and features 14 bedrooms, each with their own bathroom including a shower, a toilet and a sink. Four of the bedrooms contain a real, old-fashioned bed box. The farm includes a large catering kitchen with two stoves, an oven and a professional dish washer. This means it's possible to reserve the group accommodation on a self-catering basis. The farm is also completely furnished with modern furniture and you'll be able to make use of free WiFi. Ouside, you'll find a large garden with various picnic tables, garden furniture, a playground and a large playing field. Want to rent a large holiday home at the Zeeland coast? 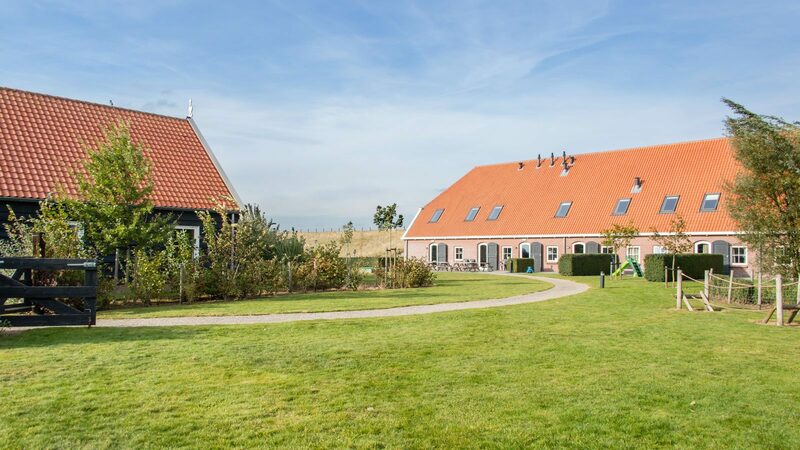 If you would like to rent a large holiday home at the Zeeland coast, at a small-scale and peacefully located park, Group Accommodation Oosterschelde is the perfect choice. It is a large holiday home at a park with only 18 other holiday cottages. The area offers numerous entertainment options like long hiking and cycling routes along water, through nature and passing by picturesque villages and great towns. At a short distance from the park, you'll also find many beaches and diving spots, and at a five-minute drive you'll find golf complex Goese Golf, featuring an 18-hole competition course. Historic towns like Zierikzee and Middelburg can also be reached within half an hour. If you'd like to truly enjoy a relaxed vacation and each other's company, it's also possible to arrange for catering during your stay at the group accommodation. 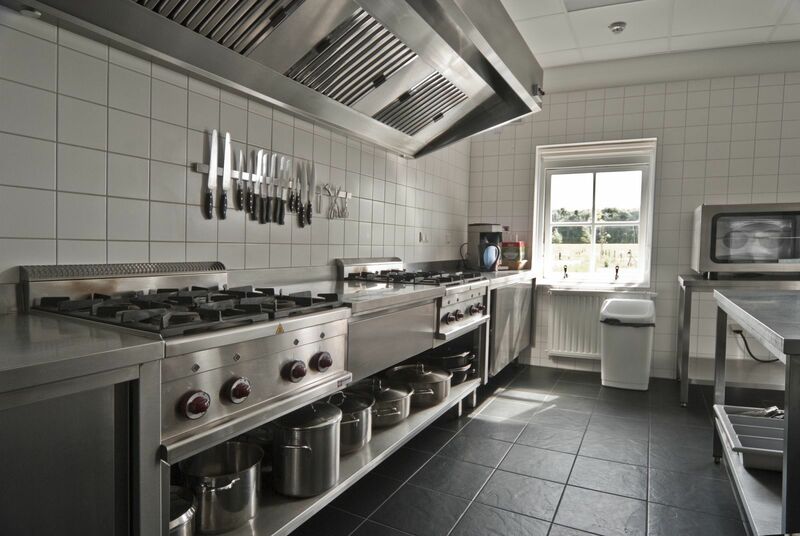 The dishes will be prepared by a private chef who will create a lunch or dinner with delicious Zeeland specialties for you at the group accommodation. You can also opt for a fully catered barbecue or some simple meals. The adjacent 't Praathuys can also be used for workshops, meetings and multi-day conference arrangements. Please feel free to contact us in order to discuss all of the options. 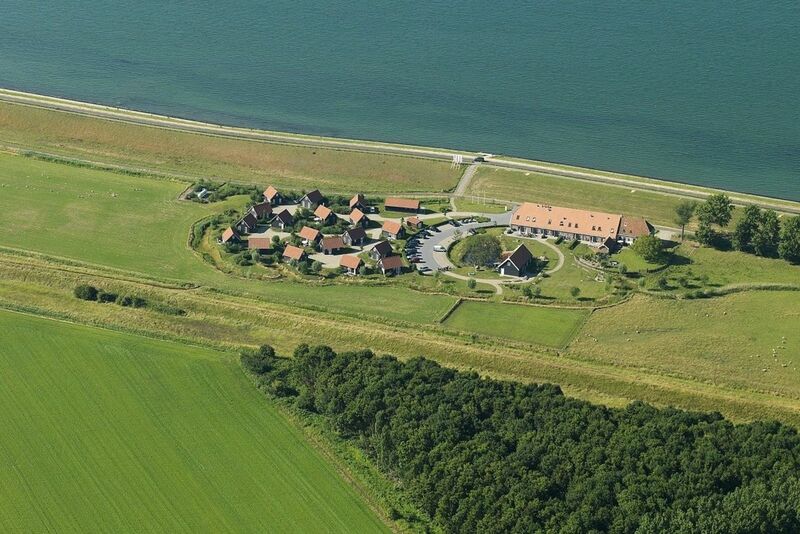 Want to rent a large holiday home on the coast of Zeeland? 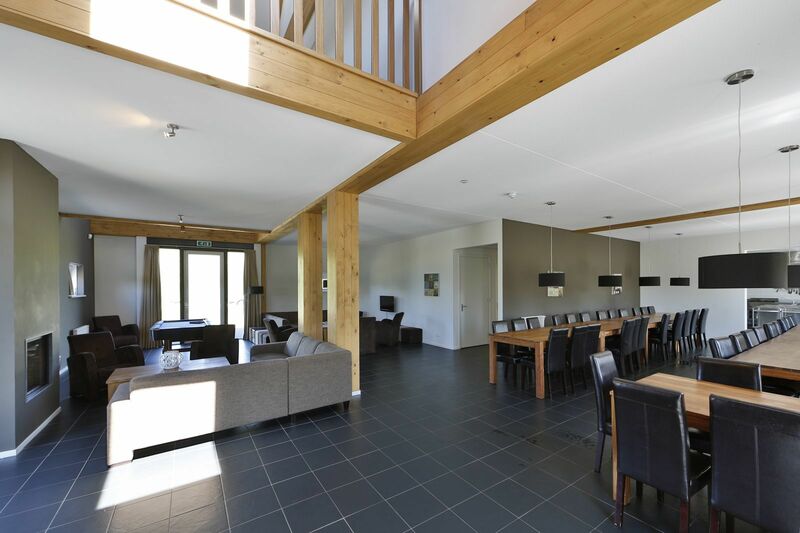 If you want to rent a large holiday home on the coast of Zeeland, on a small and quiet park, Group Accommodation Eastern Scheldt is the perfect choice. This is a large holiday home in a park with just 18 other holiday cottages. You will find plenty of recreational opportunities in the surroundings, such as long hiking and cycling routes along the water, through nature, and along picturesque villages and nice cities. At just a short distance from the park, you will also find many beaches and dive sites, and you will find golf complex Goese Golf, with an 18-hole championship course, at just a 5-minute drive away. Historic cities, such as Zierikzee and Middelburg, can also be reached within half an hour. Do you really want to enjoy a relaxing holiday and being together, then it is also possible to have your stay in the group accommodation catered. The meals will then prepared by a private chef, who is more than happy to prepare lunch or dinner with many delicious Zeeland specialties in the group accommodation. You can also opt for a fully catered barbecue or a few simple meals. Feel free to contact us to discuss the possibilities. Group accommodation The Eastern Scheldt is the perfect choice if you want to rent a group accommodation on a small-scale park. With plenty of room for 45 people, it is the ideal accommodation for a family reunion. During the day, your group can go do many joint activities, and at night, everyone can go to their shared room. The group accommodation is only a few steps away from the sea. Are you, as a group, looking for a combination of relaxation and activities? 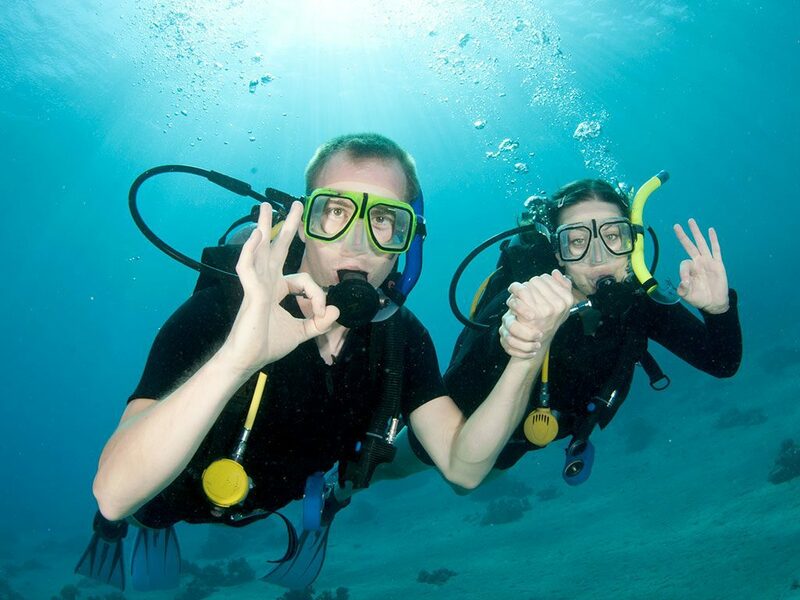 Try diving in the Eastern Scheldt and enjoy the unique underwater flora and fauna. We have a dive barn where you can leave your belongings and hang your wetsuit.